Regional Pro Tour Qualifiers (RPTQs) for Pro Tour Ravnica Allegiance take place December 1-2, 2018 and December 8-9, 2018. The format for this round of RPTQs is Modern Constructed. Bring your top strategies with you to a Regional Pro Tour Qualifier, and you may be one of the few to emerge from the event with an invitation and airfare to Pro Tour Ravnica Allegiance! Regional Pro Tour Qualifiers (RPTQs) for Pro Tour Ravnica Allegiance take place December 1-2, 2018 and December 8-9, 2018. Players that won a Preliminary Pro Tour Qualifier from July 21, 2018 until September 23, 2018. Players that received an invitation to this round of Regional Pro Tour Qualifiers for their top finish at a Regional Pro Tour Qualifier for Pro Tour Guilds of Ravnica. Players that won a Regional Last Chance Qualifier that ties to that Regional Pro Tour Qualifier. Players that previously participated in a Regional Pro Tour Qualifier which awards an invitation to Pro Tour Ravnica Allegiance. Players that are already qualified for Pro Tour Ravnica Allegiance. If you have any questions as to your eligibility to play in a particular Regional Pro Tour Qualifier, please email your inquiry to PremierPlay@wizards.com. Complete information about invitations to Pro Tours can be found in the Magic: The Gathering Invitation Policy . 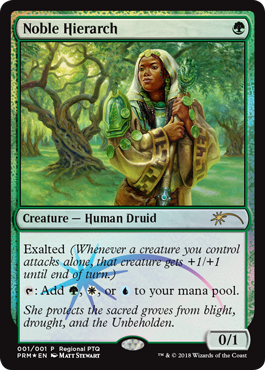 All participants in a Regional Pro Tour Qualifier receive an exclusive Noble Hierarch promo card. The structure for Regional Pro Tour Qualifiers is modified Swiss-style. Attendance How Many Single-Elimination Matches? Entry fees for Regional Pro Tour Qualifiers vary from organizer to organizer. Contact the tournament organizer of the Regional Pro Tour Qualifier you are planning to attend for exact information. This award must be redeemed through member's arrangement of travel itinerary no later than thirty (30) days before departure. Failure to complete travel arrangements as directed by Wizards of the Coast prior to this deadline will result in forfeiture of the award. Every member receiving a travel award must provide to Wizards of the Coast an executed liability release, the appropriate US taxation form (W9 or W8) (or have one on file), up-to-date contact information on your DCI membership, and proof of ID and passport (when required by international destination). In all cases, all such documentation must be provided to Wizards of the Coast, or must have been previously on file, at least thirty (30) days before departure. Failure to timely provide such documentation will result in forfeiture of the award. The round of Regional Pro Tour Qualifiers will have two Magic Online Regional Pro Tour Qualifiers in which qualified players may participate. Both of the online Regional Pro Tour Qualifiers take place on a delayed schedule of one week from the in-person events. The first will take place on December 8 at 2 p.m. PT, and the second one will take place December 15 at 5 a.m. PT. The title of the email should be "Magic Online RPTQ." The email should include your DCI number, Magic Online username, and the date of the Magic Online Regional Pro Tour Qualifier that you wish to participate in. Magic Online Regional Pro Tour Qualifiers will be capped at 212 players, so sign up early if you intend to play. 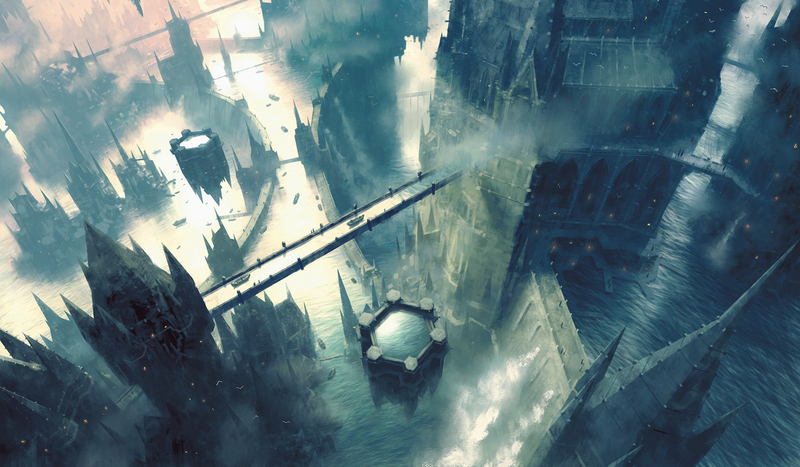 The Top 8 players will receive invitations to compete in Pro Tour Ravnica Allegiance, as well as an invitation to play in the Pro Tour Challenge event at that Pro Tour. The format for these Regional Pro Tour Qualifiers is Modern. As a reminder, if you have already played in a Regional Pro Tour Qualifier during a qualifying round, you cannot play in any other Regional Pro Tour Qualifiers during that qualifying round, including Magic Online Regional Pro Tour Qualifiers . Your invitation to compete in a Regional Pro Tour Qualifier only lets you compete in one Regional Pro Tour Qualifier. The prize structures for Magic Online Regional Pro Tour Qualifiers differ from the prize structures for in-person events. Please see the event details for this round of Regional Pro Tour Qualifiers in the Magic Online client for more information. Tell Us About Your RPTQ!